Frank Lloyd Wright visited Japan for the first time in 1905, inspired by the country’s pavilion at the 1893 World’s Columbian Exposition. He lived in the country while working on Tokyo’s Imperial Hotel, soaking in Japanese art and culture. It had a lasting impact on his own work, especially the development of the Prairie Style as well as his renderings and presentation drawings. 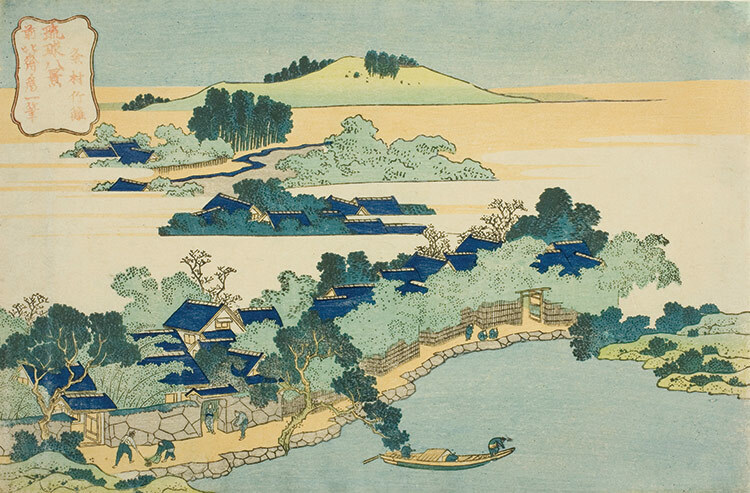 During his time in Japan, Wright became a pioneering collector of Japanese prints, and often supported himself as an art dealer. Clarence Buckingham purchased numerous prints from Wright in 1911 (including Utagawa Hiroshige’s Sparrows and Camillia in Snow from 1831, above), which became the foundation of the Art Institute’s print collection. This exhibition is composed of prints purchased by Wright, photos of an exhibition of his collection he staged in 1908 at the Art Institute, and drawings from Wright’s studio.